There’s a single change of word that I find to be one of the most powerful in terms of developing yourself as a leader. When I say developing yourself as a leader, I’m referring to your ability to take ownership for more of your life, in all aspects of your life. 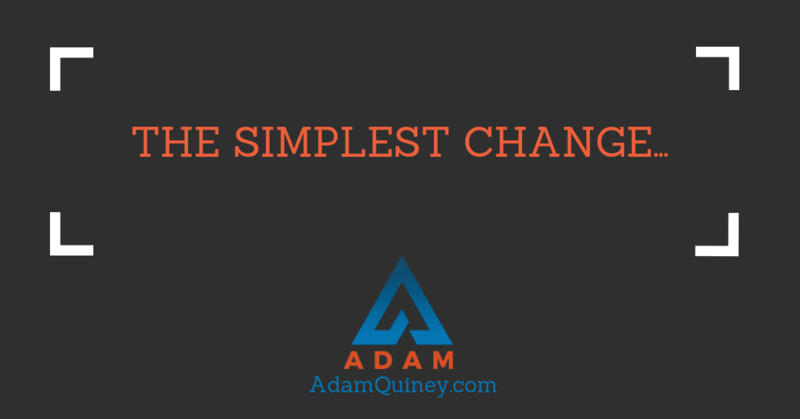 There is one word shift that is so simple, and yet it can open the doors wide to becoming a leader of your life, or slam them shut and keep you safe and cozy in front of the warmth of a life of victimhood and not-my-faultness. That shift is the simple addition of the words “Where” or “How” to the beginning of whatever sentence you are currently turning over in your mind. Your answer is totally predictable. You’ll find some places where it’s true that you do, and you’ll find many places where you don’t. The feedback is uncomfortable, but you’ll reliably find some areas where you can concede that this is true. And then you’ll find reasons that justify why you show up this way. Your ego will soothe you — it will stroke your hair and acknowledge that, yes, you do show up this way sometimes, but it’s justified. You have reasons for it. You don’t need to worry about this. You aren’t a crappy person. (And it’s right about that part — you aren’t a crappy person). Your answer to this question will lop the head off of any possibility of you uncovering something new about yourself. It’s a question from the ego (“Am I a piece of poo?”) that generates an answer from the same place (“Here’s why you’re not a piece of poo”). The simplest shift will open you up wide. When you go from asking yourself “Do I …”, to “Where do I…”, you open the doors to seeing something that you didn’t before. You create an open-ended opportunity for yourself to really be in the inquiry of that question, and to start looking in the places where you wouldn’t normally look. Of course your ego will still try to “help” you out. It’ll have you look to the answers to these questions inside the areas where it’s safe for you to acknowledge them. Your growth almost never lies in those places. Your growth will come from a courageous willingness to look for and acknowledge these traits in the places where you don’t want to see them. To see things like your heartlessness, or your anger, or your wallowing in places where it might be uncomfortable to notice them. That’s the nature of our blindspots. Having sat in the dark for so long, even a little bit of light shone on them is blinding and painful. Don’t look away though — that desire to recoil is a sign of opening yourself up to new possibility. Stay the course. Set yourself free. Ask “where…”, “how…” and “in what ways…”.